male pattern boldness: First Vintage Sewing Machine Purchase of 2018! 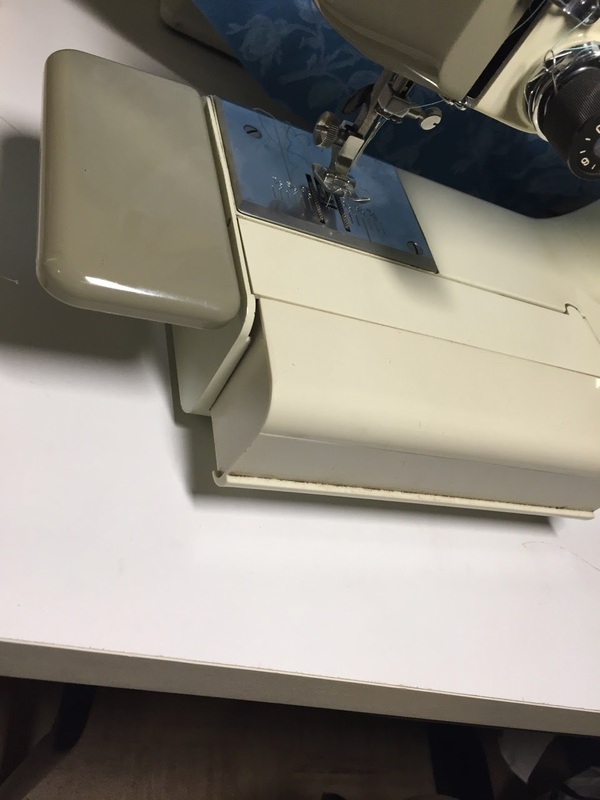 First Vintage Sewing Machine Purchase of 2018! 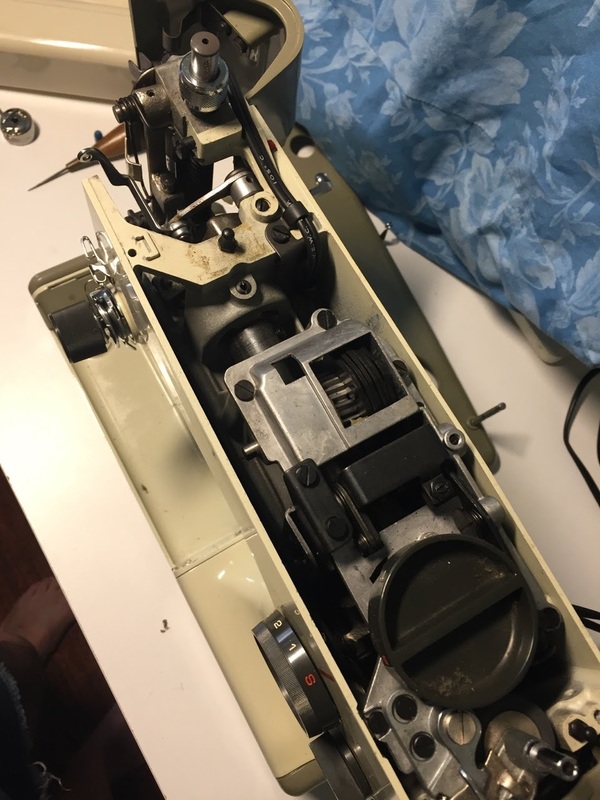 Do you recognize this sewing machine, readers? 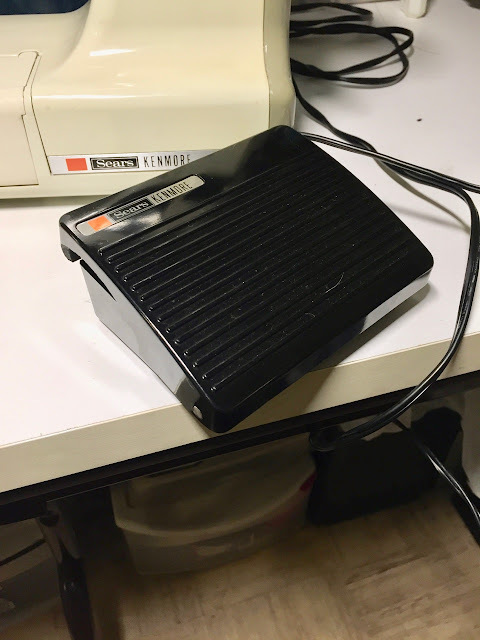 If you've been reading this blog for a while now you should, and here's why: it's the Kenmore 158.1030, virtually identical to the Kenmore 158.1040, which I used to own. I say used to because I loaned it to a friend a few years ago and the loan turned into a gift. My old Kenmore 158.1040. The chrome dials here are mostly black on the 1030. For those who aren't familiar with these models, they are 3/4-size machines designed by Charles Harrison, an African-American industrial designer who worked at Sears for decades and created, among other iconic Mid-century designs, the View-Master slide viewer. These machines were manufactured in Japan by Jaguar-Maruzen in the 1970's and they were (nearly) all-metal, mechanical zigzaggers. 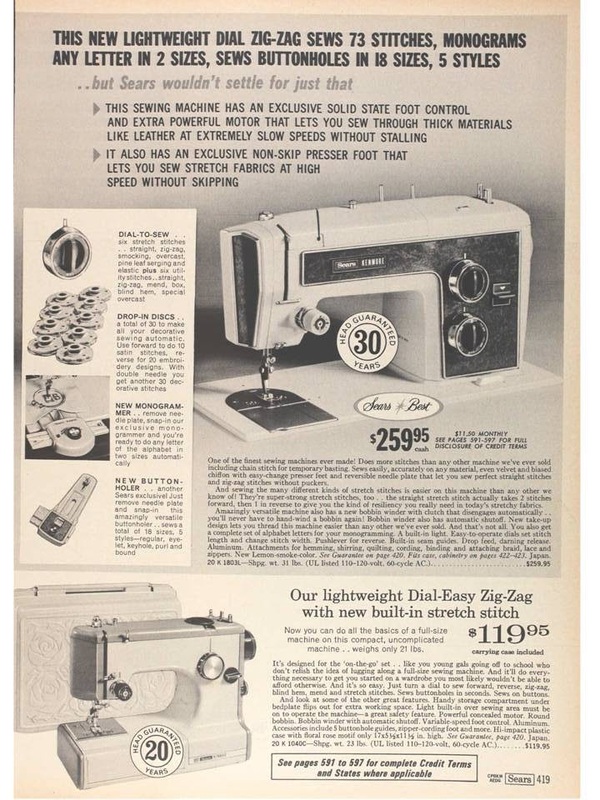 The 1040 was a slightly more sophisticated model that included a removable quick-switch straight-stitch/zigzag plate (with a small hole on one end like one would find on a straight-stitch machine) and the ability to create stretch stitches like the honeycomb stitch (which requires the needle to stitch both forward and backward). Oddly enough, while the 1040 is a .8 amp machine, the 1030 is stronger -- 1.0 amp! Both models came in an identical rose-embossed plastic clamshell case. I found the 158.1030 at a local street fair this weekend and paid $50 for it, a very good price for machines in this series. It was in excellent mechanical and cosmetic shape. It's not unusual to find the plastic pieces making up the extension table (which contains a concealed accessories box) to be badly discolored. Naturally, as soon as I brought the machine home, I opened it up, de-linted it and oiled it where necessary. 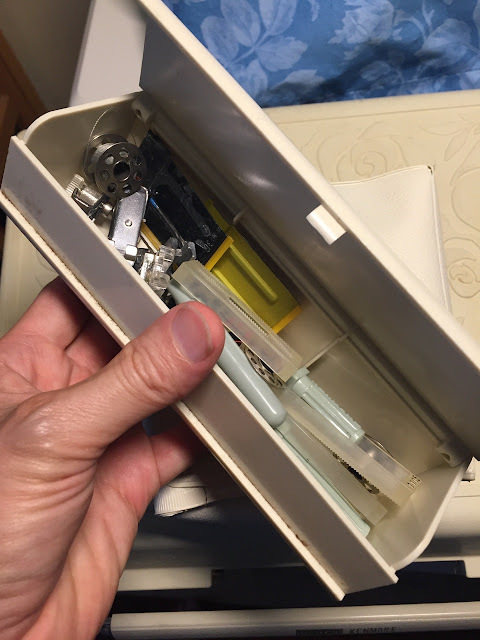 I love the fact that it was designed to provide easy access to the insides: would that Berninas were so easy to get inside of. Along with the zigzag stitch, the 1030 can do a blind hem stitch, a four-part buttonhole, and something they call a mending stitch. The pedal is heavy, high quality, and electronic. Included with my machine were a few extra feet (including an invisible zipper foot), two screwdrivers, extra bobbins, and even extra needles. I'm so happy to have found this machine, friends; I'd always regretted parting with my 1040. 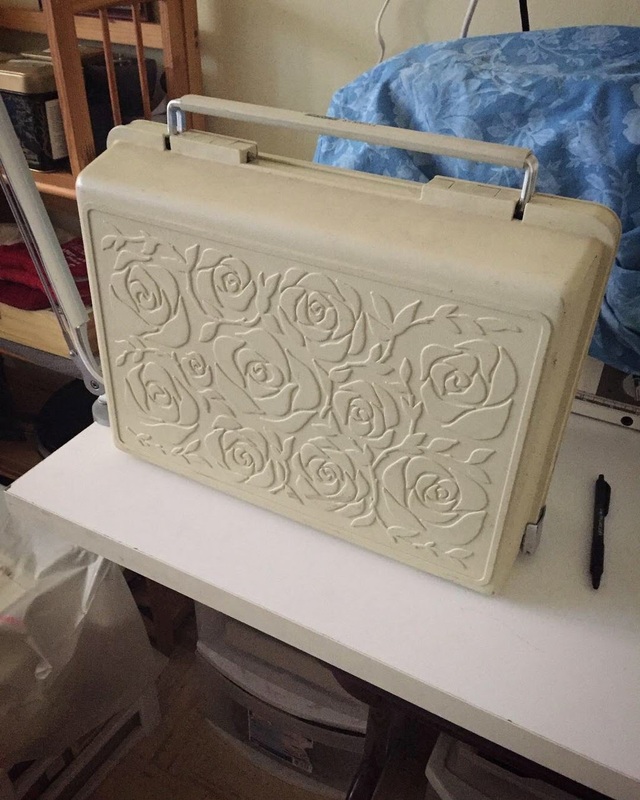 I love the design, the portability (it weighs roughly 17 lbs but is easy to carry in the clamshell case), and quality of the stitching. 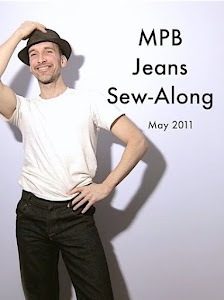 You can see a short Instagram video of me using the machine here. 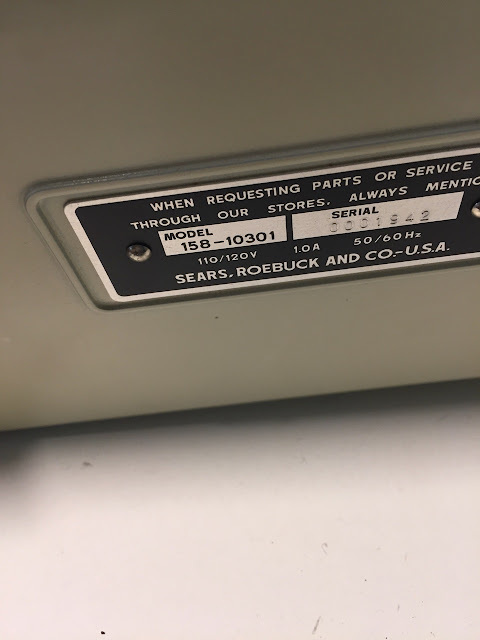 Original Sears catalog listing for the 158.1040 from the mid-Seventies. It wasn't inexpensive. Gee, I am so jealous I am grinding my teeth. 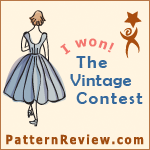 I would also like to have a week or even a few days in my sewing room. Enjoy your machine, it looks like a real keeper. Love the background info. You make me want a vintage machine. I look forward to seeing you enjoy this machine. I have a 1040, sews like a champ, easy to carry and pack in the car in spite of weight. Wish good design were part of more machines! Wow, I love machines that have just exactly what you need done well. 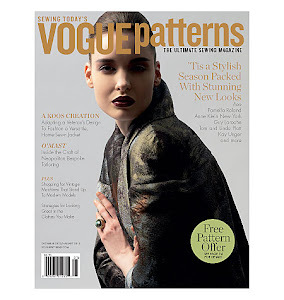 Is the mending stitch a three stitch each way zig zag, or does it drop the dog feed? The ability to drop the dog feed means being able to machine embroider and it is the best! It's a three stitch each way zig zag and I'm pretty sure you're meant use it with the feed dogs up, but you could drop them as well I suppose. My mom, mother-in-law and I swore by Kenmore machines. My daughter-in-law has the last one I bought which my mother also used. Those mostly metal Kenmore machines will last forever. 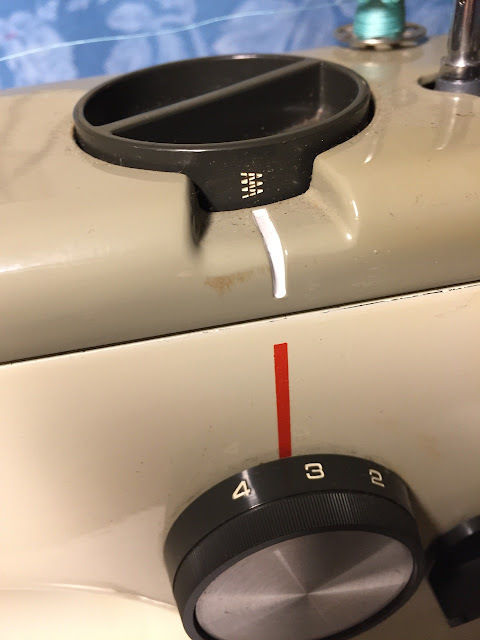 I have a 70's Kenmore fullsize Zigzag machine. 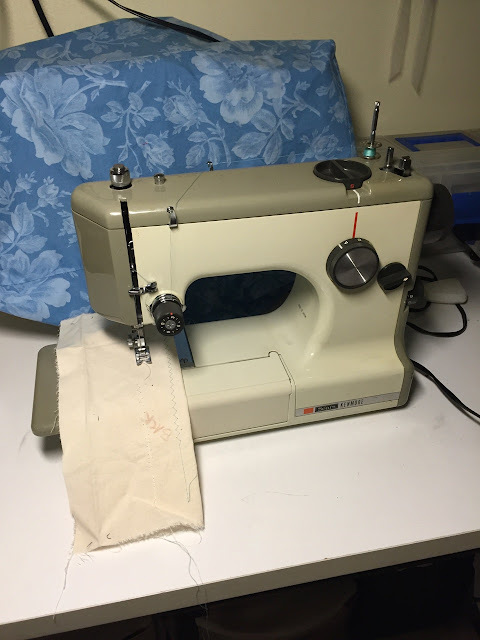 It was the first sewing machine I bought. It was used when I got it in 1976. Oh, be still my wildly beating heart!! That is such a wonderful little machine (I have both the 1030 and 1040 that go on vacation with me!) I worked for Sears back in the day when Kenmore was as sewing machine giant and love those machines! I had one of the machines shown in the add also-the 1803 model was the love of my life until it was stolen out of the back of my AMC Gremilin one night. 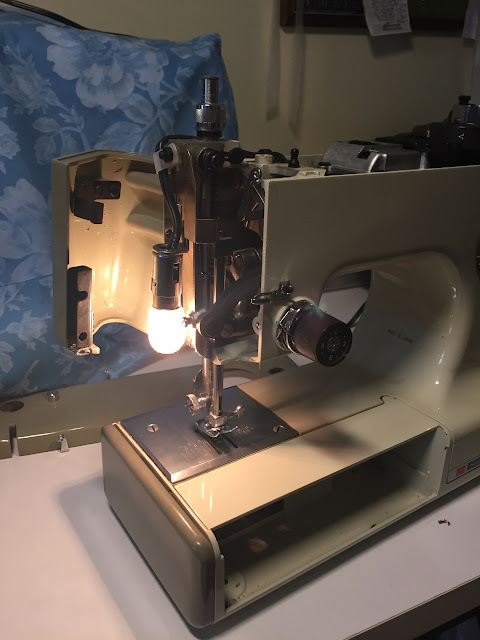 I cried for days and was able to replace it with a stepdown model, the 1802 which did not have as many attachments but was the same machine head. 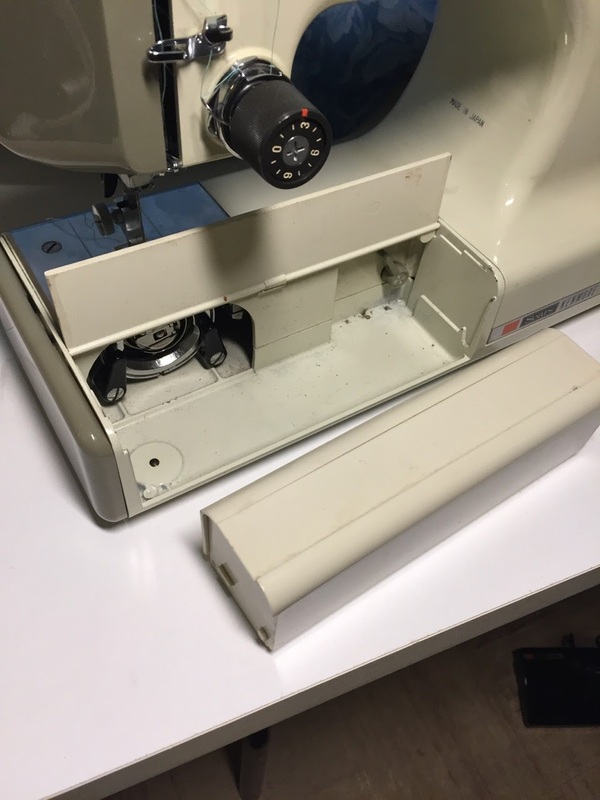 I still sew mainly on my Kenmore 19412 -early model free arm that I got in 1979-no thoughts of even retiring it as I know it too well to start over, although I do have a 2000 Kenmore that embroideries and stuff, but it is being used for free motion quilting and I don't have to change threads and settings all the time! LOVE my Kenmores! When I saw your IG post, I ran downstairs and got Becky.1040 out and gave her a good cleaning in the honor of your new baby! 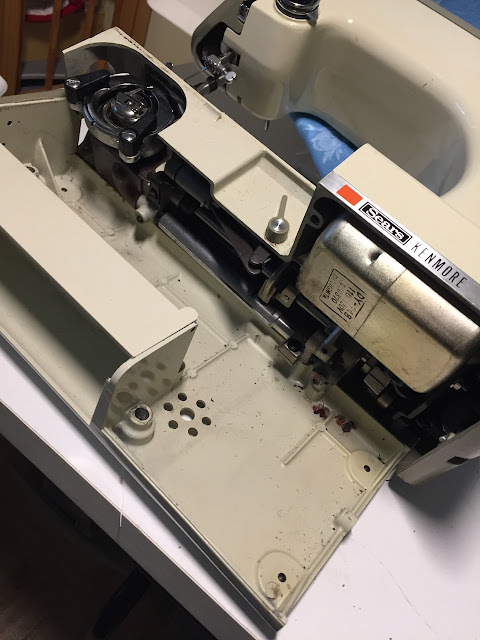 They are swell machines and I would never hesitate to recommend them: they run like tops and you can service them at home with simple tools and some rags. The bobbin winding post is too wide for modern class 15 bobbins, but I've got a Bernina or two for that job! 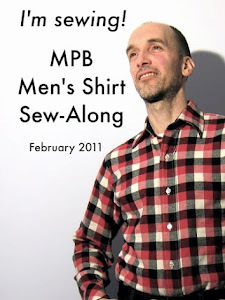 Now I not only envy Peter for getting the machine I covet, but now you've made the list! Was the sewing machine I bought myself with my graduation money from high school (45 years ago). Still have it because it does the best button holes of any machine I've owned. Have lost a couple of the buttonhole guides though and would love to replace them. suggestions? I have Kenmore 158.523 and Kenmore model #32 [early 30s] and near 40 pounds. 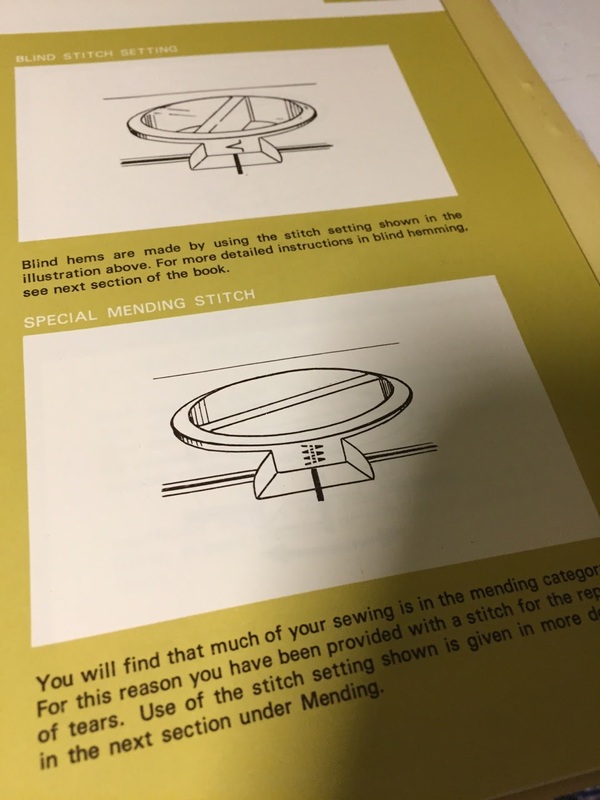 My Grandmother was a seamstress and now at 38 I've decided I want to learn how to sew! I'm conditioning these two machines myself [the 158.523 was $60 and the model 32 free; both in excellent condition. I don't wear glasses - I have 20/20] BUT I must say, my eyes have been challenged despite both machines being equipped with a light. What type lghting do you suggest? 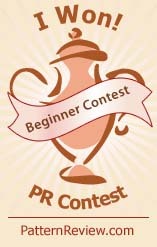 Thanks and this is an inspiring, interesting blog! I recommend getting a good LED desk lamp, which are easy to find these days and relatively inexpensive. I know the light from my machines is insufficient for my aging eyes! 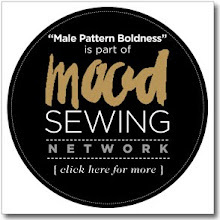 Streaming Online Sewing Classes -- YEA or NAY?